Joe Jackson finished the Night And Day tour in May 1983. 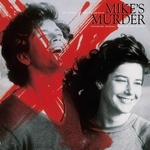 He had been asked to contribute a song to Mike's Murder, a film written and directed by James Bridges. He ended up writing both a handful of songs and a few instrumental pieces that were released on a soundtrack album in September. Unfortunately, the film itself was not ready for release then, since it was the subject of a dispute between Bridges and the movie studio that had financed it, the result being re-shooting and reediting, such that the film did not open until March 1984, by which time it had a score by John Barry and only a little of Jackson's music remaining, and then it earned only one-million dollars during a few weeks of theatrical showings, making it a disastrous flop. The orphaned soundtrack album, however, managed to get into the Top 100 and even spawned a chart single in the Jackson composition "Memphis", while "Breakdown" earned a Grammy nomination for Best Pop Instrumental Performance. 2018 repress. 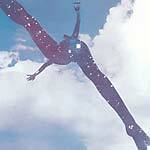 Lilith present a reissue of Brainticket's Celestial Ocean, originally released in 1973. The brilliant Celestial Ocean, by the legendary Swiss krautrock band Brainticket, is a concept album that details an ancient pharoah's journey into the afterlife (substitute the word "journey" for "trip" and you'll get what they were driving at). However, Brainticket were not mere products of their time, they explored some truly compelling musical territory and produced a superlative blanket of sound-featuring a pioneering mix of early synthesizers, flute, zither, sitar, and male/female stream-of-consciousness spoken-word vocals that ebb-and-flow in the same general cosmos as classic Gong. Fully remastered from the original master tapes. Includes CD. 2018 repress. Lilith present a reissue of Brainticket's Cottonwoodhill, originally released in 1971. 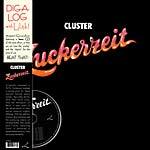 Being as LSD was first developed in a laboratory in Basel, it is perhaps no coincidence that one of the most far-out albums of all time was made by this Swiss band -- no small feat, given the competition! Brainticket's 1971 debut, Cottonwoodhill, begins normally enough with two fine psychedelic/krautrock-influenced tracks, but the remainder of the album plays like an acid trip with a soundtrack, dominated by Joël Vandroogenbroeck's endless droning organ, a variety of musique concrète-type sound effects, and vocalist Dawn Muir's trippy vocals. The album, banned in several countries, even came with this self-imposed warning: "After Listening to this Record, your friends may not know you anymore. Only listen to this once a day, or your brain might be destroyed!" 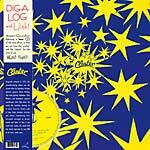 Gatefold sleeve; Includes CD. 2018 repress. 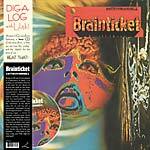 Lilith present a reissue of Brainticket's Psychonaut, originally released in 1972. 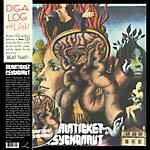 Psychonaut, by the Swiss-based Brainticket, is early seventies space rock at its finest. While the band's debut album, 1971's Cottonwoodhill (LR 313LP), was a heavily acid-laden affair dominated by droning organ, disturbing vocals, and a collection of cacophonic sound effects (causing it to carry a warning label and be banned in several countries), for their second effort, band-founder Joël Vandroogenbroeck brought in a completely new line-up and changed the band's sound dramatically. While Psychonaut still takes listeners into the realm of altered consciousness -- making heavy use of a droning Hammond, sitar, tablas, etc. -- this time the vocals are more melodic and the music itself is more song-oriented. This is by far Brainticket's most accessible album and perhaps their most timeless. Fully remastered from the original master tapes. Includes CD. Reissue; 2018 repress. 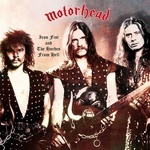 Motörhead's first live album, recorded in early 1978 at The Roundhouse, less than a year after the release of their groundbreaking, self-titled debut. This is vintage, "take-no-prisoners" Motörhead, and the band (playing a mix of originals and a few speed-freak versions of early R&B, country, and British blues songs) is a fast and furious machine. Punk rock step aside... this is Motörhead! 2018 repress. 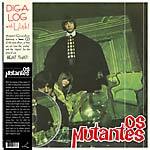 Lilith present a reissue of Os Mutantes' self-titled debut, originally released in 1968. With the release of their debut LP in 1968, Os Mutantes cracked the already red hot Tropicalia scene wide open. 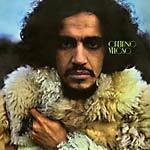 Fusing traditional Brazilian music, psychedelia, rock, and a good dose of pure experimentation, they quickly became giants both in Brazil and in the outer fringes of pop music, where they have managed to reign supreme for the past four decades. Not an easy task in such a crowded arena. Caetano Veloso, Gilberto Gil, Gal Costa, Jorge Ben, Tom Zé, and Os Mutantes? What do these people put in their drinking water? The band went on to release several more albums, but this one was their magnum opus. Obi "bookmark" Japanese style; 180 gram vinyl; Includes CD. 2014 release. This collection of live tracks gives those of us who weren't there during those halcyon days of psychedelia, a taste of just what lofty heights (and hellish depths) the Elevators were capable of reaching. The performances are taken from three sources: "Roller Coaster", "You're Gonna Miss Me" and "Tried to Hide" from a rockin' appearance on a local Dallas / Ft. Worth television show in the spring of 1966, "Don't Fall Down", "Kingdom Of Heaven", "She Lives In A Time of Her Own" and "I've Got Levitation" from a notoriously shambolic gig in Houston in 1967, and the remaining eight tracks from a series of stellar performances at San Francisco's Avalon Ballroom in autumn of 1966. 2011 release. 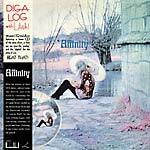 With the release of their 1970 debut, Affinity broke the British jazz-rock mold by combining the hauntingly powerful vocals of Linda Hoyle (lauded as the British Grace Slick) and the Hammond wizardry of Lynton Naiff (in the style of Brian Auger), with convincing elements of psych and blues. Featuring 8 rare bonus tracks from the period. Includes bonus CD of the entire double album. 2006 release. Hailing from late-'60s Detroit, Black Merda (pronounced "Murder") were both aesthetically and musically way ahead of their time. When most black groups (including Parliament/ Funkadelic) were still sporting suits, singing about love and using a horn section, Black Merda had already become a tight guitar-heavy freak-funk four piece. By weaving guitar rock and psychedelia into soul and R&B they were the gods of the underground 'black rock' movement which fell somewhere between Jimi Hendrix and Parliament and MC5. But it wasn't just about the music, the message was just as important. As with the original release, features a 30-second 11th track not mentioned in the track listing on the outer sleeve but present on the album. 2014 release. 1979's, Can (aka Inner Space), the band's last proper album, was less experimental than its previous releases, with Michael Karoli doing more straightforward vocals and guitar. Having spent the previous decade taking elements of the classical avant-garde (i.e. 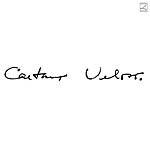 Karlheinz Stockhausen) and underground rock (i.e Velvet Underground) to create a kind of genreless "new music"--and influencing countless bands in the process--Can had reached the natural end of its journey. Although founding members Irmin Schmidt (keyboards) and Jaki Liebezeit (drums) can still be heard, Rebop Kwaku Baah and Rosko Gee of Traffic fame have been added to the mix, with former bassist Holger Czukay doing the editing. 2014 release. 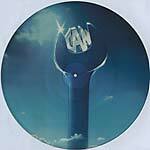 Originally released in 1978, Out of Reach was one of Can's last albums before their official disbandment in 1979. Here original bass player Holger Czukay is replaced by a much more funky Rosko Gee (of Traffic Fame)--who plays a prominent role in shaping the sound of this album, writing and singing on a number of the album's tracks--while drumming duties are shared between Jaki Liebezeit and Reebop Kwaku Baah (also from Traffic), making this one of Can's more groove-heavy releases. 2018 repress. Originally released in 1972, this is the second album by legendary German ambient pioneers Dieter Moebius and Hans-Joachim Roedelius. Moebius and Roedelius essentially create ambient electronic soundscapes that ebb and flow, droning on in a suspended world of anti-gravity where machine has conquered man. Includes bonus CD of the album. 2018 repress; 2007 release. What can really be said that hasn't been said already about the quintessential power trio /supergroup of the late sixties? 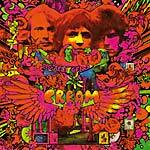 So let us just be content to pay tribute to this seminal hard rock ensemble of geniuses with a newer version of their second and most acclaimed album, Disraeli Gears (1967) where Bruce, Clapton and Baker reach immense peaks in inspiration and technique. This version features a 180 gram virgin vinyl LP with an embossed cover; now you can feel the angel. 2013 release. Robert Plant once called them his "favorite band", and it is easy to see why. Led by a 300lb. Elvis impersonator and a guy in tight black underwear and a cape, Dread Zeppelin, by means of unholy divination, have managed to climb through that small tear in the universe where the stars of Bob Marley, Elvis Presley and Led Zeppelin have aligned. 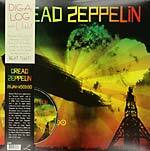 For the first time on vinyl, Dejah Voodoo, recorded in 2000 and featuring one bonus track, is an album full of mind-boggling Zep covers from the other side of the sun. Featuring 1 extra track. 2018 repress. 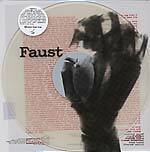 Legendary German post-rock band formed in 1971 by undisputed noise pioneer Uwe Nettelbeck, Faust garnered an immediate following due to its artistically extreme experimentations with music cut ups and other mixed sources hinging on cacophony and distortion. Don't miss their 1971 cult classic debut, now reissued with its original clear printed sleeve on 180 gram clear vinyl. This early archive concert of Peter Green's Fleetwood Mac, before Danny Kirwan, is one of the earliest existing live recordings of the band, recorded on April 27, 1968 at a concert given at the Polytechnic of Central London, just a few months after the release of their debut album. Here the band's heavy blues influence dominates their sound as they play through a set of mainly blues covers, many of which do not appear on any other recording. Gatefold 180 gram LP with bonus CD of the album. Most fans of AC/DC agree that Brian Johnson did some of his best singing back when he was the lead vocalist for a Newcastle band called Geordie, formed in 1972 with guitarist Vic Malcolm. Their second LP, 1974's Don't Be Fooled By The Name, was a solid slab of hard rock featuring songs like the rocking "Goin' Down" and "So What", but check out Johnson's vocals on "House Of The Rising Sun" if you want to know why Bon Scott and AC/DC were such early admirers of Johnson's singing. Bonus CD of the album included. 2012 release. Probably best remembered as lead singer Brian Johnson's band before AC/DC, the Newcastle-based hard rock band Geordie was actually led by guitarist Vic Malcolm, who did almost all of the song writing on the albums. Their 1973 debut, Hope You Like It, included hit singles "Don't Do That" and "All Because Of You", landing Geordie firmly on the map somewhere in the vicinity of bands like Slade. While Geordie may not have been as groundbreaking as AC/DC, Johnson was certainly off to a solid start in a band hailed at the time by fans and critics alike. Bonus CD of the album included. 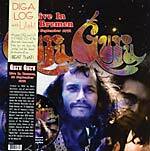 "Playing on the same scene as bands like Amon Duul and Can, krautrock band Guru Guru was formed in 1968 by one of contemporary music's most talented drummers, Mani Neumeier who, in addition to playing drums, was also the band's vocalist/frontman. 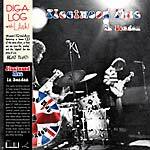 This album, recorded live at Radio Bremen in 1971 features the 23-minute 'Der LSD Marsch' ('The LSD March') from their debut album, UFO. Here Neumeier's superlative drumming is given center stage and one can hear why Mani has consistently earned such high praise. The remaining two songs come from their second album (1971's Hinten): the 22-minute extended prog tribute to 'Bo Diddley' (who knows what the inventor of the 'Bo Diddley Beat' would have thought of this), and the aptly titled 'Space Ship' - an extensive sonic trip of 15+ minutes (!) only found on the bonus CD."